What really makes a company a great place to work at? It’s a tough question. The typical example of an awesome company might conjure mental images of an unconventional colorful workspaces kitted out with PlayStations, nap pods, bean bags, lava lamps and a candy floss machine. As an entrepreneur, the expenses associated with such status symbols of “corporate coolness” is enough to induce fear in the most calm, but it really shouldn’t. While having an impressive selection of gaming consoles may be something a great employer has, it is not the reason a company is a great employer. It is a subtle distinction– but a very important one to keep in mind. So what really makes a company a terrific place to work at? 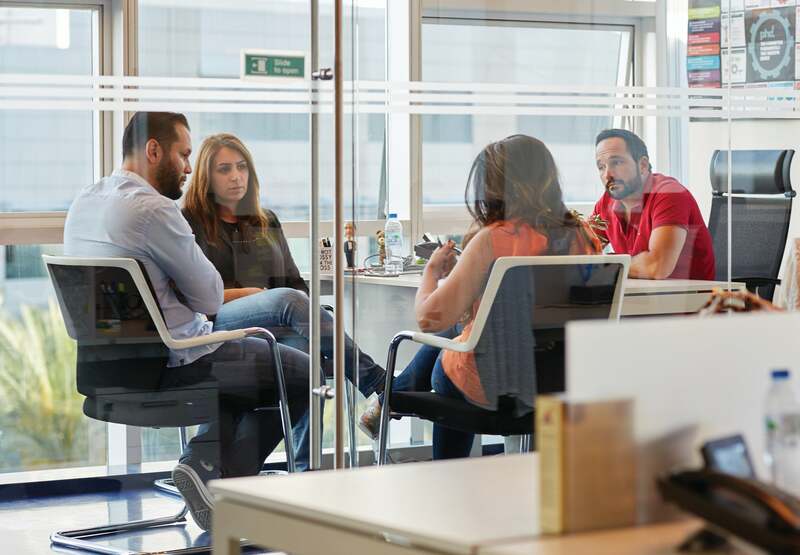 From our experience of being listed as one of the top UAE employers over the past five years, I believe there are two parts to the winning formula. Firstly, your company must have a well-communicated purpose-driven vision, and secondly, as the owner of a business, you must have an authentic relationship with the people who work in your company. Do you know why your company does what it does? How is it contributing to the greater good of humankind? How does it positively change the world- or how is it trying to change the world? Whether or not you’ve articulated it, you probably do. The more important question is, does your entire team know why you do what you do? As a leader, it is your responsibility to ensure all your staff understands the context of their work and the greater work of the company. Literally, at any moment, you should be able to ask a random member of your company, why do you do what you do, and why does our company do what it does? If you can reach that level of clarity, you will begin to see passion and impressive engagement rates at every level of your company. Of course, it is key that your company has a purpose that is big enough to inspire people to stay committed to your company. If you don’t, you need to take some time out to reflect why you got into the business. Also, you need to do an internal audit to make sure you are doing the right things for the right reasons. I’m not talking about giving money to a charity at the end of every year– no, I mean you need to check: are your books in order? Are you dealing with partners and suppliers who are honest and sustainable? If not, spend some time to get your affairs into order and be sure to explain to your employees why you are doing what you are doing. If they can feel the same sense of purpose you have to make the world a better place through your business, they will be behind you every step of the way- provided you treat them right. First things first: banish the word “employee” from your vocabulary. Instead replace the term “employees” with “people who work for you,” so refer to them as that: people. As your company grows, you’ll need the support of other people– be very careful whom you select to join your “work family.” My advice is to hire a person for their attitude– you can always train for skills. Find people who are smarter than you and who have different opinions than you– no matter how difficult it may be. And trust me, it will be difficult– but it all starts with having a genuine and authentic relationship with your team members. Create space for people to work on whatever they’re passionate about. Sometimes having a very strong vision is what is needed the most from a leader– but that isn’t always the case. Often what is required from a leader is the permission to dissent. Give people the green light to disagree with you, with each other and with your vision and purpose. These kind of tough conversations will challenge everyone to become better and will give people a sense of ownership and purpose in their role in your company. Be sure to invest and pursue the success and development of your team. Sometimes this may mean letting your star team player leave your company. While that situation is far from ideal, you need to remember that great leaders don’t pursue personal success but the success of those around them. Encourage your people to be the best they can be and one way or the other, you’ll see you’ve created the hallmarks of a great place to work. Starting a business is one of the most challenging and demanding things a person can do in life. Between securing funding, pitching new business and navigating through an established competitive landscape, most entrepreneurs have little time or energy to think about creating a great place to work. But you should. Case study after case study has proven that successful startups are those with an engaged and driven workforce. Considering the dreary statistics of success rates of startups, the odds are truly stacked against you. So, why not go the extra mile to be the exception to the rule?